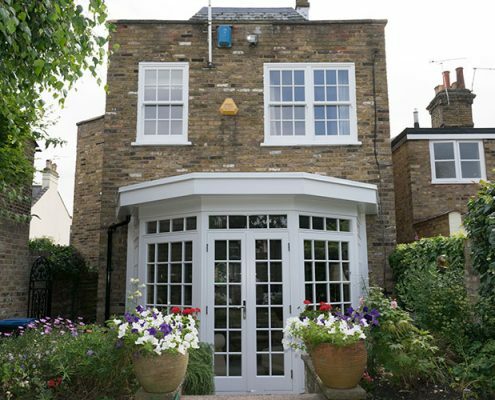 It’s always nice to get a big “Thankyou” from clients for a job well done – especially when our designers and installers are faced with strict conditions, like this project in the Muswell Hill area. 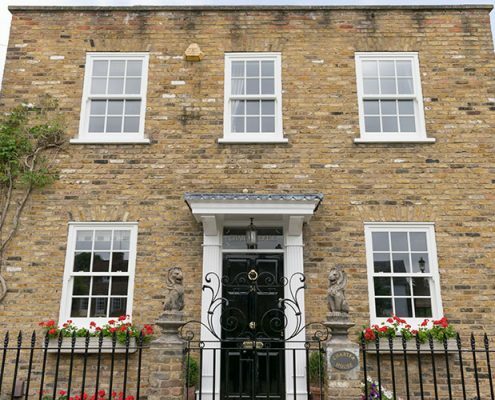 Our client made contact via our website and requested a quotation to replace the old timber sash windows and doors at his house. 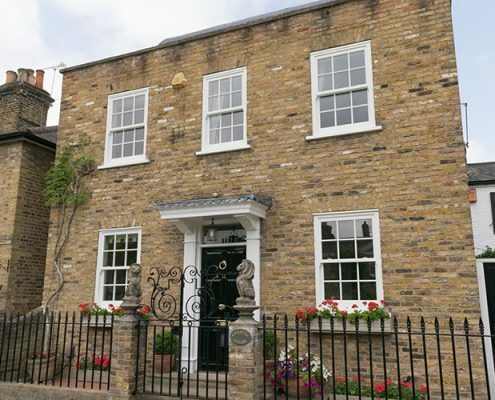 The property is in a conservation area with strict stipulations that had to be adhered to. 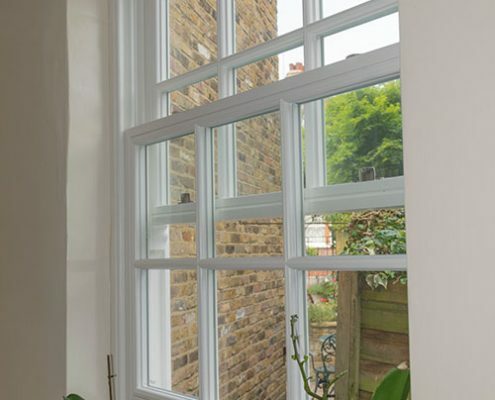 Due to the design of the windows and to achieve a slim external sightline, a hidden spring system was suggested. 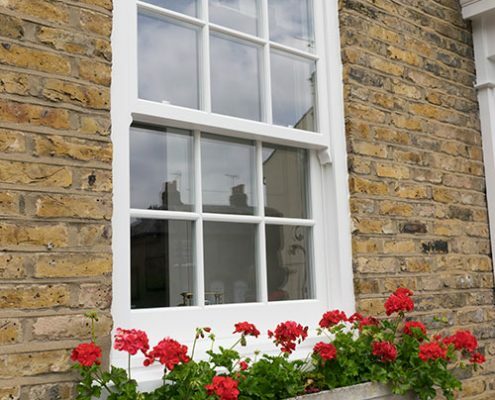 Most sash windows are installed from inside to cover the box where the weights are hidden. 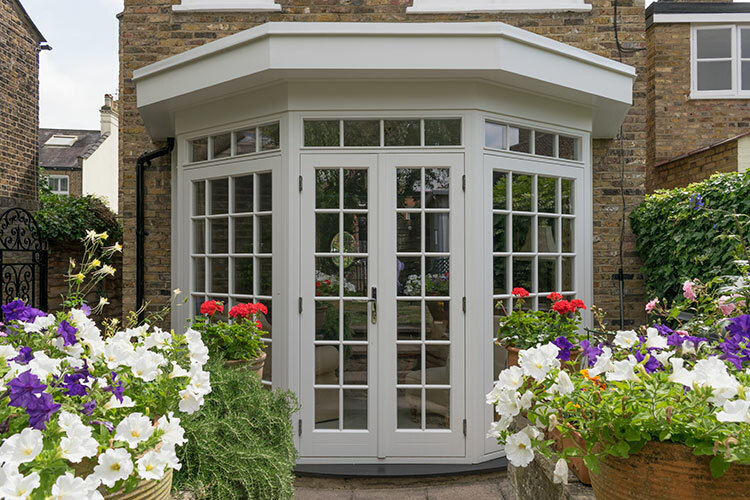 Frames installed externally leave no place to hide the weighted section. 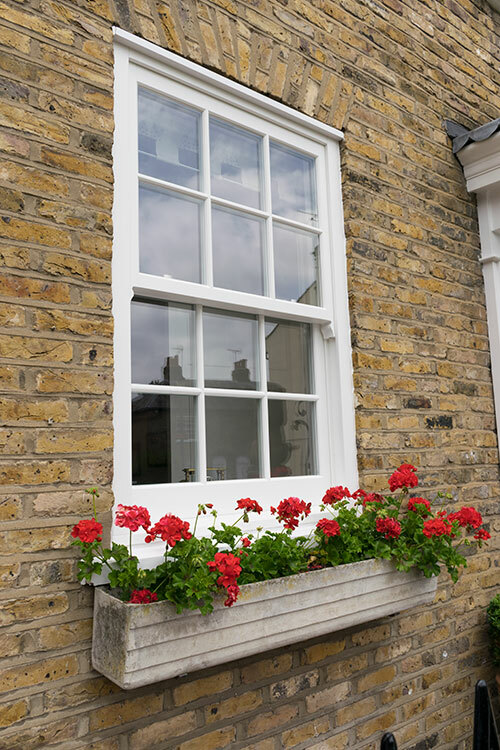 Spring loaded sash cheeks are 60mm, whereas traditional weighted are 110mm. 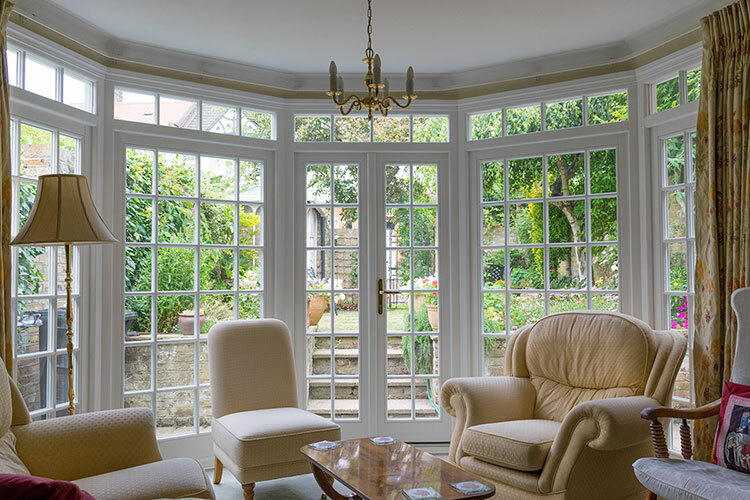 At the sales meeting we put together a detailed quotation on all the items to be replaced: sash windows, a side door and a large replica floor to ceiling timber French door bay window. 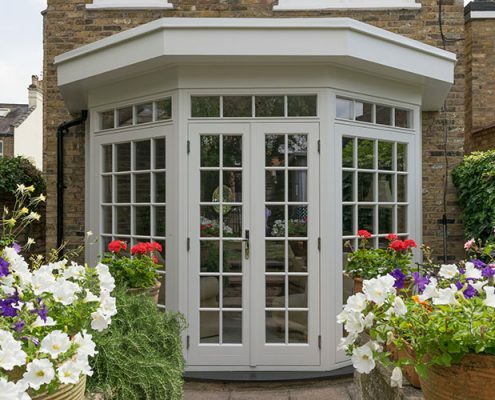 Within two days the quotation and drawings were sent over via email for the client to carefully read and consider. 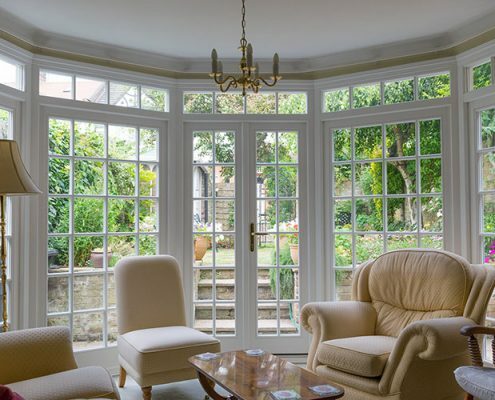 We make sure the client is under no pressure to agree anything until fully satisfied. 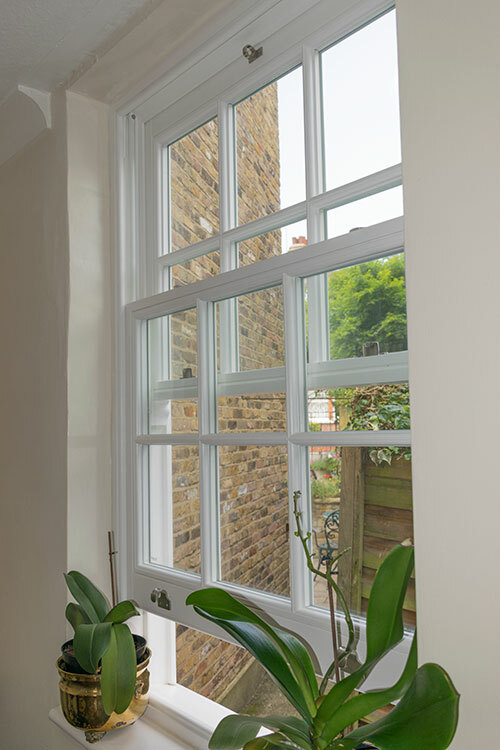 The original sill to the French door bay set was curved and had to be replaced like-for-like to keep within the tight conservation restrictions. This was an important part of the project which required careful planning and accuracy on the survey. 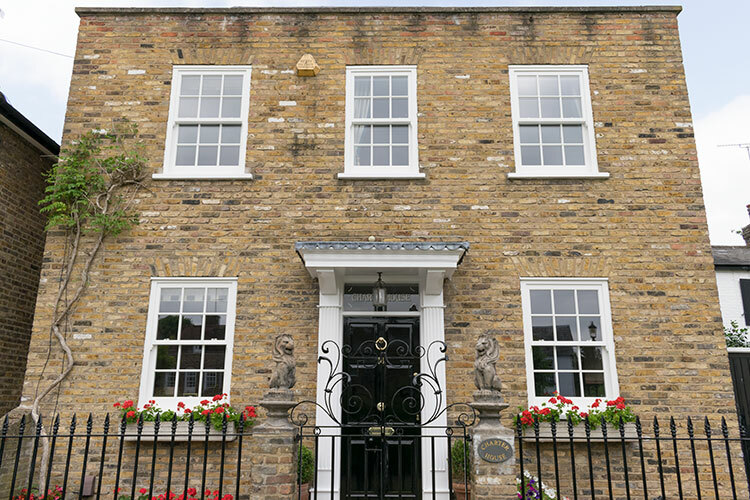 “Astragal” glazing bars were also required to match the original timber sash windows, along with the ironmongery. 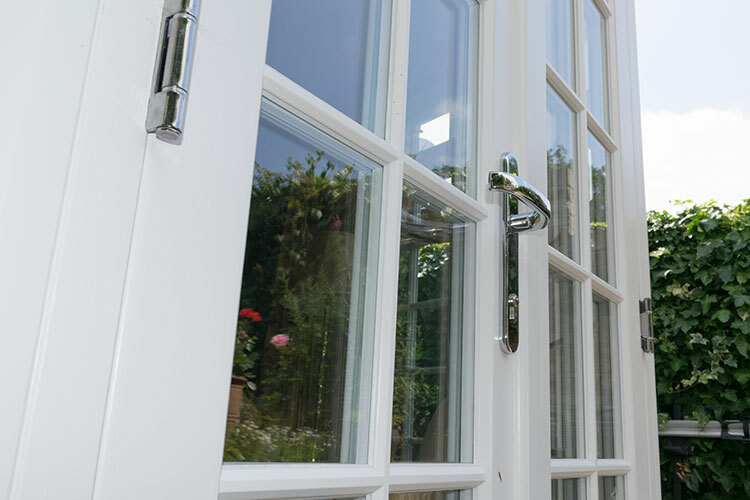 After the CAD drawings were agreed, showing all the relevant glass and Georgian bars, the order was signed off for production. The manufacturing process takes up to eight weeks, during which every item is meticulously made using the very best CNC machinery. After construction, the windows go into a two-week painting phase, which is carried it in a dust-free sealed spray booth. 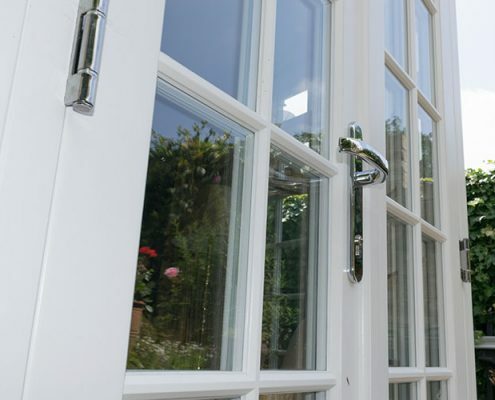 All our timber products start with an anti-fungal sealing paint, followed by two coats of primer, then a further two coats of Remmers Micro-porous paints. Mid way through the manufacturing process our operations department liaised with the client regarding delivery and installation. Two weeks before that, the date was confirmed and the installation was carried out in just four days. 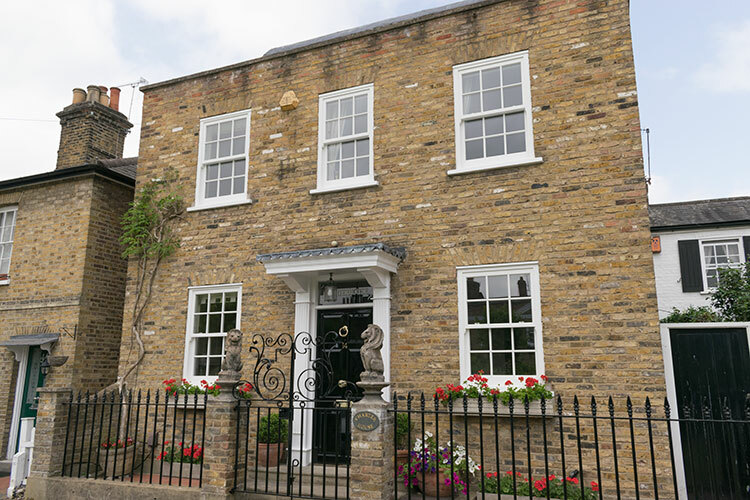 Our client was thrilled with the new timber windows and doors and had great praise for the way Greg and Adam went about the installation, not only for their superb work but also for taking great care around the property. 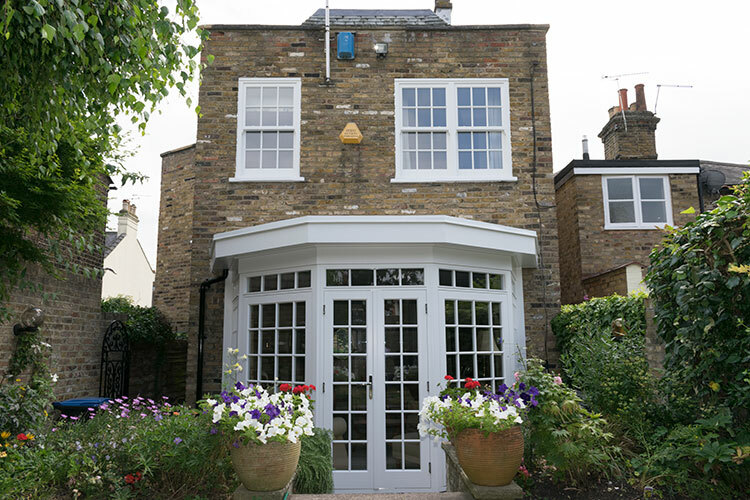 And we are delighted that a neighbour has now also placed an order based on this installation.